The risk of carbon monoxide poisoning is extremely high when dealing with a gas leak. It quickly builds up in closed up areas with little ventilation. In the event of a gas line break, make sure everyone is aware of the danger and can get a safe distance away from the property until repairs can be completed. 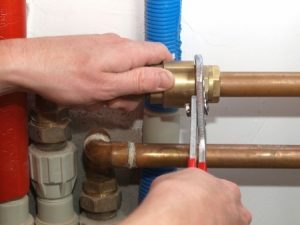 Home equipment such as cooking ranges, fireplaces, furnaces, and water heaters are the main culprit as a starting point for potential gas leaks. Inspections should be done yearly to check these appliances for any wear and tear that could create issues in the future. Gas leaks are dangerous and you should take precautions when dealing with a potential pipe break in your home. Make sure everyone is out of the house and shut off the gas lines if possible. Carbon monoxide is a serious threat that sends thousands of people to the hospital every year. Don’t take any chances and call for service immediately! Sunset West Plumbing & Rooter is available to repair gas lines whether you need gas line maintenance or a broken pipe replaced. We will send someone out as soon as possible to take care of the problem. Updated on June 15, 2016 at 2:50 pm by Sunset West Plumbing & Rooter.